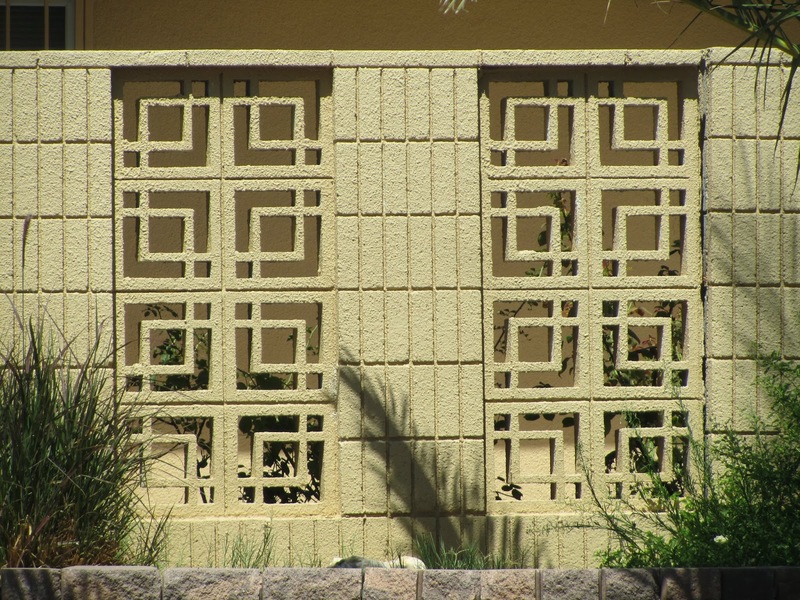 One of the hallmarks of Paradise Palms architecture is the use of decorative concrete screen block found throughout the community. Used to delineate breezeways, carports, sunscreens and to dress up otherwise plain concrete block walls, the use of decorative concrete screen block is a defining character of the neighborhood. 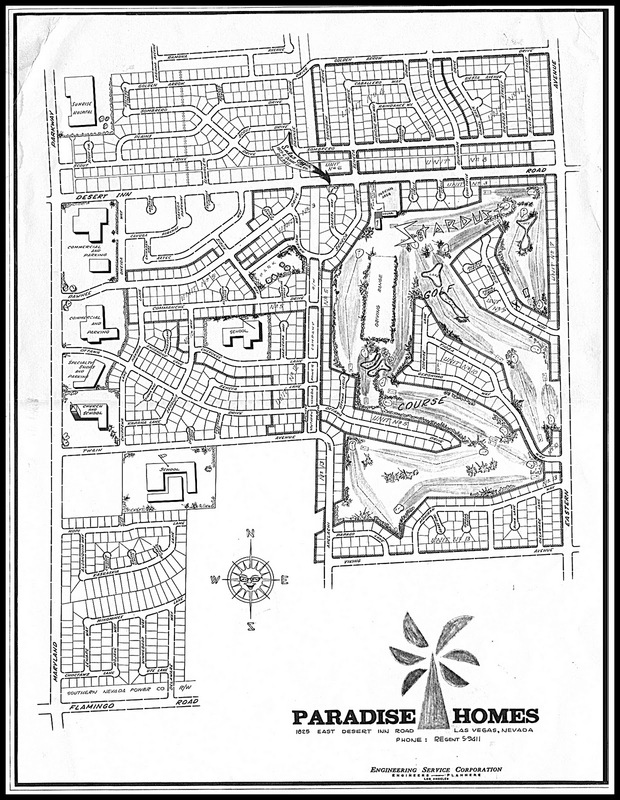 Mostly found on the Palmer & Krisel-designed homes, Tropical Estates homes, Fontainebleau Estates homes and various custom homes throughout the community there are approximately two-dozen different patterns of decorative concrete block found in Paradise Palms. The Americana homes and Stellar Greens homes used other materials – mainly brick and stone – for accents, while only one of the Miranti Models – the Monterey – featured decorative concrete screen block in the carport design. Several block patterns were used more than others – the champagne bubble block, the concentric ‘La Fiesta’, the ‘La Costa’ and the eight-pointed star design are a few of the more popular designs. Other patterns – the fleur-de-lis, the diamond-X block, waves, diamonds and simple diagonals can be found in Tropical Estates – Pawnee Drive, Seneca Lane, Algonquin Drive, Ottawa Drive and Commanche Drive offer some of the more unique and rare decorative concrete screen block patterns. Paradise Palms’ first tract, the Palmer & Krisel-designed Unit 1 offers some of the more dramatic, full-façade screen block designs which can be seen from Aztec Way, Cayuga Parkway, Pawnee Drive, Chickasaw Way, Seminole Circle and Arapahoe Circle.